It's tough to tell what's real and what’s myth today when it comes to SEO best practices. So we asked the SEO community to bring us up to date on the current state of link building, content marketing, social media and more. 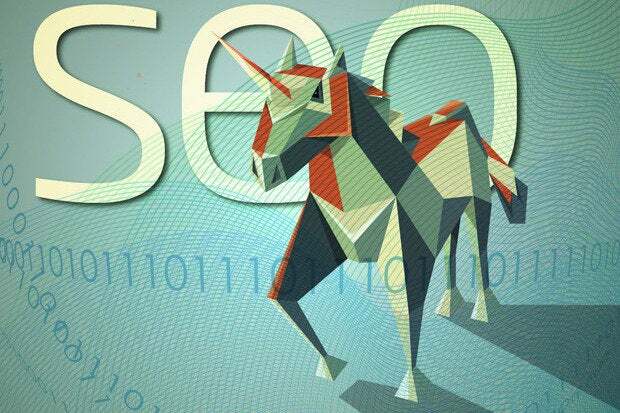 So what are the most common SEO myths and misconceptions today? We queried the SEO and online-marketing communities for their top picks and best practices in this post-Panda/Penguin world. “All the Google penalty propaganda and prevalence of spammy link building has led some people to decry the fine art of link building, claiming that pushing to gain links to improve your rankings will land you in hot water with Google,” says Evan Pryce, head of SEO at SUSO. Pryce says companies should continue to look for link opportunities but also avoid anything that’s too obvious, such as mass directory submissions or low-quality guest posts on irrelevant, small-time blogs. “The safest and most defensible link-building strategy is to go out and build relationships with influential industry figures. The links gained from nurtured relationships will be some of the best links you can get and won't be easy for your competitors to replicate,” Pryce says. Content marketing has existed for decades. In the past, some content was created with the sole goal of ranking well in Google searches, regardless of the content’s quality, according to Steve Beatty, senior SEO director, Covario. “Many people took advantage of this, creating bad user experiences for online searchers. Google began to roll out aggressive algorithmic updates to combat it (namely Panda and Penguin)," Beatty says. "This in essence forced marketers, PR, SEO, and social teams to change their strategies and collaborate more to create content that can reap the benefits for all channels." Cournoyer believes this myth is born “from a pessimistic view of what SEO is. Content marketing can't replace SEO, because the two don't compete with each other. They work together. SEO is part of a great content strategy. Just because Google puts a premium on high-quality results doesn't mean SEO tactics still don't have value." It's a common belief that Google ranking is focused on links. But not all links are created equal, Tuite says. “The best way to think of a link is as someone giving feedback about your website. To be considered of value, the feedback must be genuine, truthful, informative and helpful to the user. So you can forget link directories, press releases and so on." The idea that social media signals impact search ranking is “hotly contested” within the SEO community, according to SUSO's Pryce. “While there is clear evidence that having an active and engaged social following can help amplify your marketing efforts and lead to earned links, there is no direct impact on search rankings,” he says. Anchor text is the text within a hyperlinked phrase, such as “click here” when written as click here. In the past, optimizing anchor text with important keywords helped boost search rankings. During the last year or so, Google algorithm updates diminished the power of optimized anchor text. Google used to display thumbnail photos of verified authors along with their content’s search-result listings, and some believed the images helped encourage higher click-through rates. However, Google recently started to discontinue that practice, according to Search Engine Land. Google’s head of webspam, Matt Cutts, famously denounced guest blogging for SEO purposes in January. Cutts’ blog post led many to assume that guest blogging of any type could place you in Google’s crosshairs. “Guest blog posting got nailed by Google because many websites, called spam blogs, were created to manipulate the search rankings,” says Dan Stelter, an independent SEO consultant. “They had very low-quality content, and SEOs blogged on them with the sole intent of gaining a link. Others have done similar things, so if Google finds hundreds of links acquired through guest blogs, they'll probably penalize you." “Today, you should blog with the sole intent of building authority in the eyes of your target market. And you do that by getting exposure on high-profile websites," Stelter says. Backlinks marked as “rel=nofollow” don’t provide the same kind of value that regular “follow” links do, because nofollow links don’t pass PageRank. Nonetheless, nofollow links are “still extremely important for businesses,” according to Blue Fountain Media's Paley. Some people believe desktop and mobile search are essentially the same thing, but according to Paul Holman-Kursky, director of content marketing, Extole, that's not the case. “Even though Google dominates browser-based search on mobile devices, apps are growing more dominant in the mobile landscape," he says. Apps account for 89 percent of mobile media time, according to Nielsen, and the mobile Web accounts for the remaining 11 percent. In addition, 50 percent of mobile searches are performed with local intent, according to MDG Advertising. “This means that when people search on a mobile device, they’re often looking for what’s near them in the physical world,” according to Holman-Kursky. Bottom line: Marketers, especially ecommerce brand managers, should develop mobile-specific strategies. Internal links, or links that point to other pages on your site, were once an important on-page ranking factor. Recent research from search marketing company Moz, however, shows that the number of internal links on a page is now near the bottom of the list of search engine ranking factors. Anderson suggests updating your Google+ pages weekly. In the past, it was a commonly held belief that a higher number of total indexed pages helped rank a site higher in search. “This is one of the most dangerous myths still existing on the Internet, because tens of thousands of businesses optimizing their websites for SEO are investing for returns that will be near impossible to receive,” according to Josh Meah, co-founder and COO of JackMyRep.com. “The truth is that most purchasers of SEO services have the correct expectation that SEO can help drive business, but the wrong knowledge as to how SEO actually helps,” Meah says. “SEO is a driver of web traffic, not a driver of business. It's the difference between marketing and sales. Your website or supporting sales staff still needs to close the deal through an effective on-page experience, and you need a strong online reputation in general to avoid losing business. James A. Martin is a seasoned tech journalist and blogger based in San Francisco and winner of the 2014 ASBPE National Gold award for his Living the Tech Life blog on CIO.com. James is also a content marketing consultant.